Con­sider­ing the possibilities that face us now that election day has passed, there are real issues that must be faced not only in the next few weeks but also in the next few years. The unemployment rate report that was released earlier this month was good news for President Obama. The unemployment rate ticked up just a tiny bit, from 7.8 to 7.9 percent. It stayed below the magic number of 8 percent, which was a boost for the president. Behind the good news, though, there are issues of concern. For example the African American unemployment rate rose significantly from 13.4 to 14.3 percent. Black women took most of the hit, with unemployment rates rising from 10.9 to 12.4 percent. Meanwhile, Black male unemployment dropped from 14.2 to 14.1 percent. There’s more. More than 5 million people have been officially unemployed for more than half a year. They have been looking for work for an average of 41 weeks. I cannot imagine the pain and misery that is reflected in such a long job search. One wonders how many of these folks have left the labor market because they have become discouraged. At the same time, the data shows that more than 600,000 people returned to the labor force as a result of recent trends. The most discouraging data comes from hidden unemployment and other measures of unemployment. The 7.8 percent overall rate of unemployment is reported as 14.6 percent. Thus, the Black unemployment rate of 14.3 percent translates to an overall Black unemployment rate of 26.4 percent. That means more than one in four African Americans is unemployed. In some urban areas, as many as half of the African American male population does not work. Now that President Obama has won the election, African American activists, especially those who have access, must remind him of this data. They must suggest that there is a coordinated and comprehensive response to the disproportionate exclusion of African Americans in our economy. When African Ameri­cans are marginalized in the labor market, the whole of our nation suffers. Any unused human capital is a drain on our economy and society. The brain drain that is a result of high unemployment rates will not be staunched until there is focused attention on Romney’s “47 percent.” The focus on education improvements in China and India are really a focus on the failure of our nation to fully invest in higher education, especially for those who are underrepresented. Our nation’s situation is not simply about an election, but about a matter of direction. Too many of us think that voting is the most we can do, not the least we can do. Too many of us have eschewed the role of community agitator and activist. Way too many of us feel that professional success and community involvement are mutually exclusive. Too many of us fail to understand that our personal success germinates from community activity. The unemployment rate data is a monthly reminder of the State of Black America. If we are unsatisfied with the facts, what will we do to change them? 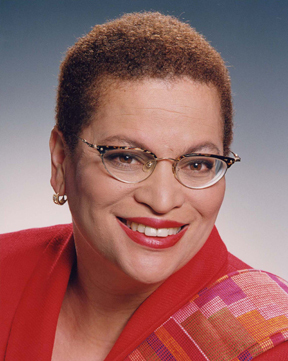 Julianne Malveaux is a Wash­ington, D.C.-based economist and writer. She is President Emerita of Bennett College for Women in Greensboro, N.C.